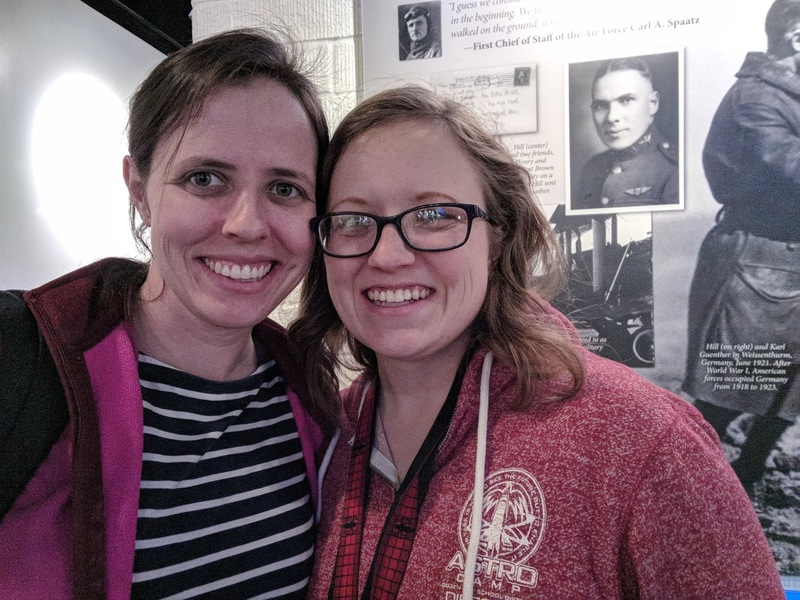 So much has happened since I posted last in February! I will try to catch up somewhat in order. I just started looking at the February photos and thinking how little we expected so many changes when we had our February snow storm. 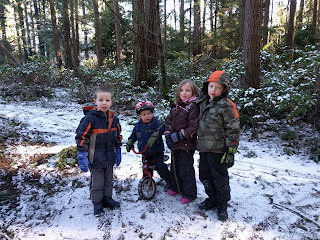 We got a dusting of snow, a slight thaw, and then a pretty hard freeze, so everything was frozen solid and slippery. 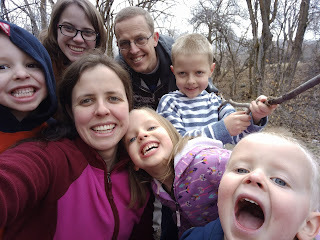 We went on a long hike in St. Edward State Park, of course. 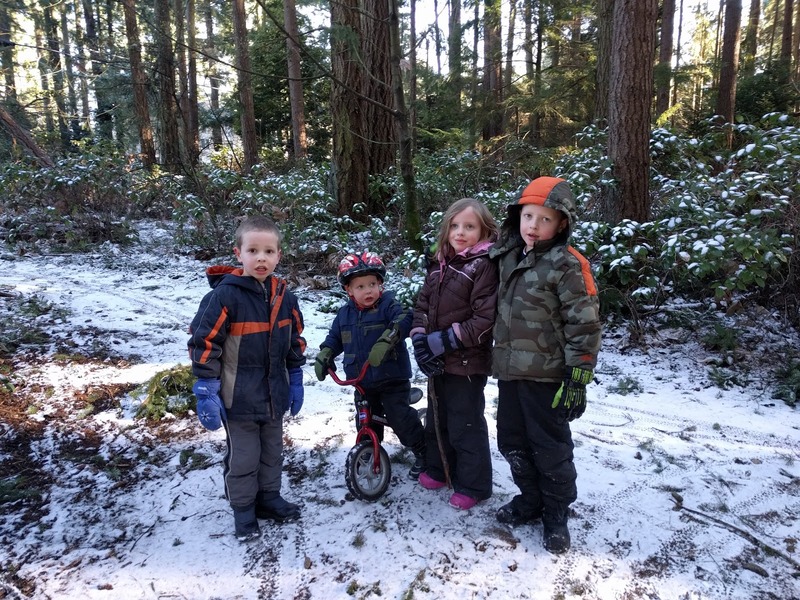 The snow didn't last long, and the cold weather couldn't keep us indoors. It's actually easier to play outside in a freeze because we don't get soaked. Sammy decided that it was time for him to start school, so I pulled out a spare preschool workbook and started working on letters. 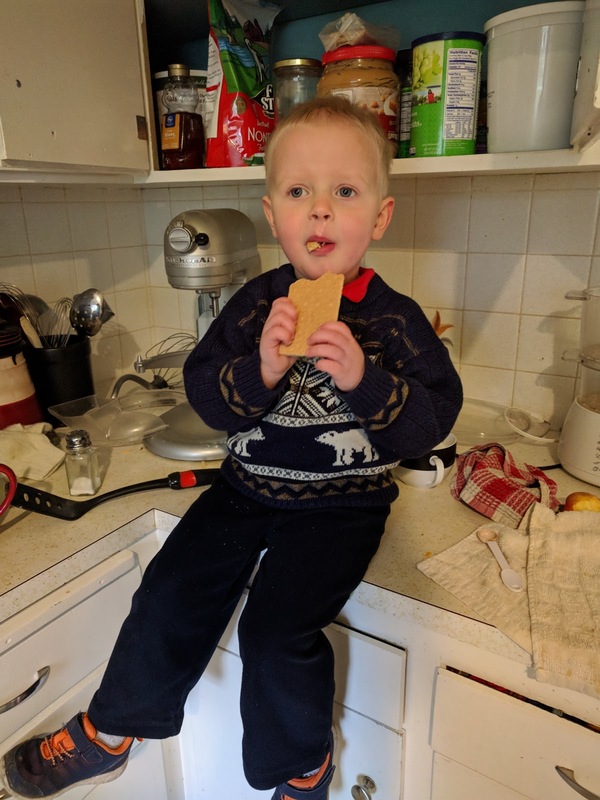 I love that Sammy still wants to perch on the counter while I'm cooking. It is a very good place to be if you want snacks and tastes while Mom is cooking. This is the throne of the king of the kitchen. He lets me know which ingredients are approved, and occasionally he allows a sibling to take a turn stirring. These adorable counter perching days are numbered, so I'm enjoying the company. Wednesday right after we got back from Utah was Valentine's day. We were so pooped from the trip that we didn't really do anything to celebrate, but we got packages with treats and cards from Grandma and Grandpa Knight and the Campbell cousins. Thanks guys! Jared's school had midwinter break this week, so Jared went to one day of school after a week of travel, and then he was on break. 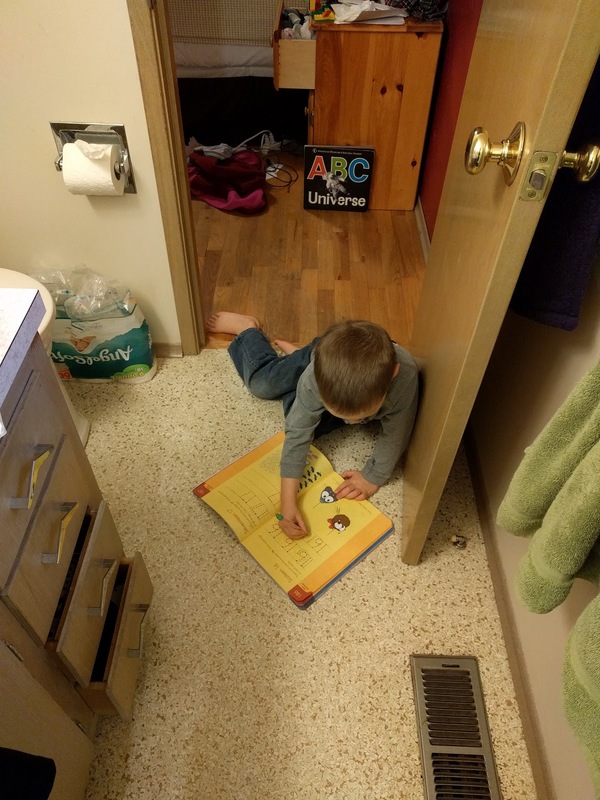 We still do school at home, but the morning schedule is a little less rigid. Sometimes school happens on the bathroom floor because Mom needs a shower, and five year old's proximity sensors were sounding, so he has to be close to Mom. On Thursday afternoon our car battery had a catastrophic failure. 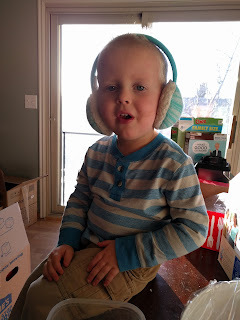 I left the kids listening to an audiobook for a few minutes while I dropped something off for Rebecca. When I got back in the car, the audiobook had turned off, and the car wouldn't start. It was pretty obvious that it was the battery. 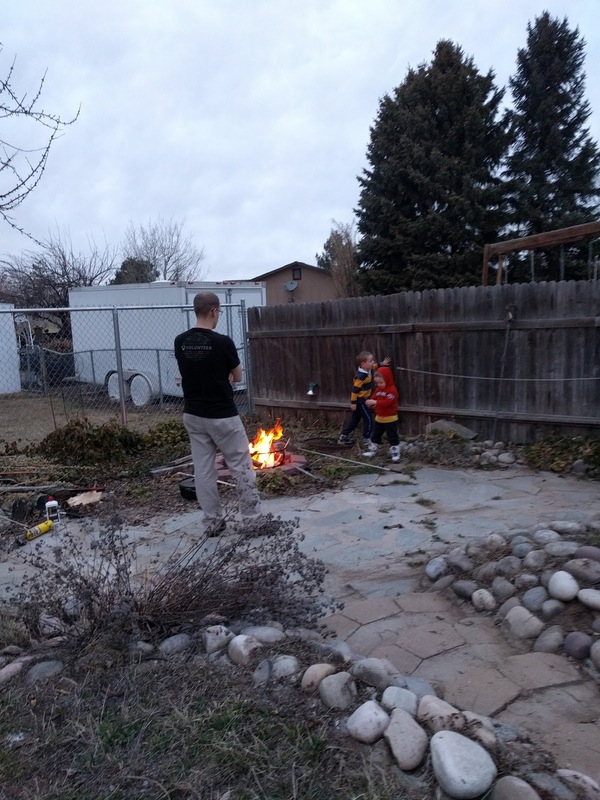 Fortunately, the Christensens live one block away from Google, so Todd came over to help me charge the battery while the kids went inside to play. Poor Rebecca has hardly been out of bed in three days because she has been so sick with a cold and being seven months pregnant. I felt bad that we were crashing in on them. The battery wouldn't charge. We tried charging for half an hour and managed to get enough juice to turn the radio back on, but the battery needed to be replaced. Funnily enough, my first thought was to be grateful that we broke down in such an ideal place. Todd could walk over to help out, the kids were occupied with their friends, the Christensens had a car we could borrow to get to the store for another battery, and Rebecca even had dinner in the crock pot to share. I made biscuits. 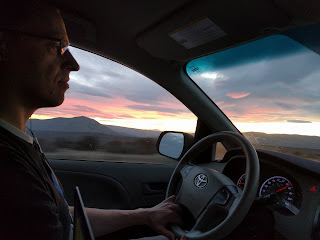 Battery replacement was going slowly, so Todd drove us home and I put the kids in bed, and, when the battery strap had to be replaced, but it was too late to get a new one, Cambell drove Todd home. Todd went to work on Friday, and walked over to finish the repairs during lunch. 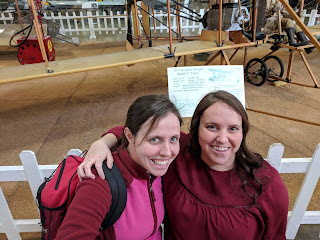 We learned about the invention of the steam engine and interchangeable parts for history this week. We read a book, "The Ox Cart Man" by Donald Hall, about life in America before industrialization, and then we painted wood scraps to imitate early nineteenth century wood painting. I finally found a solution to the problem of fitting all eight of my students around the table. I had them paint in shifts. 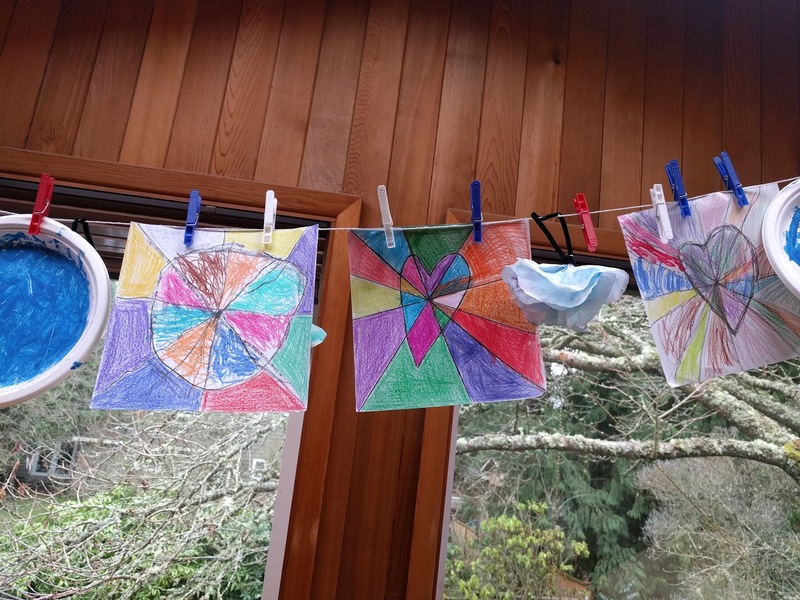 The five and two year olds painted first while the older kids did a writing activity, and then they traded, or filled in empty spaces at the table as they completed their other assignments. We hadn't gotten groceries since we got home from our trip. 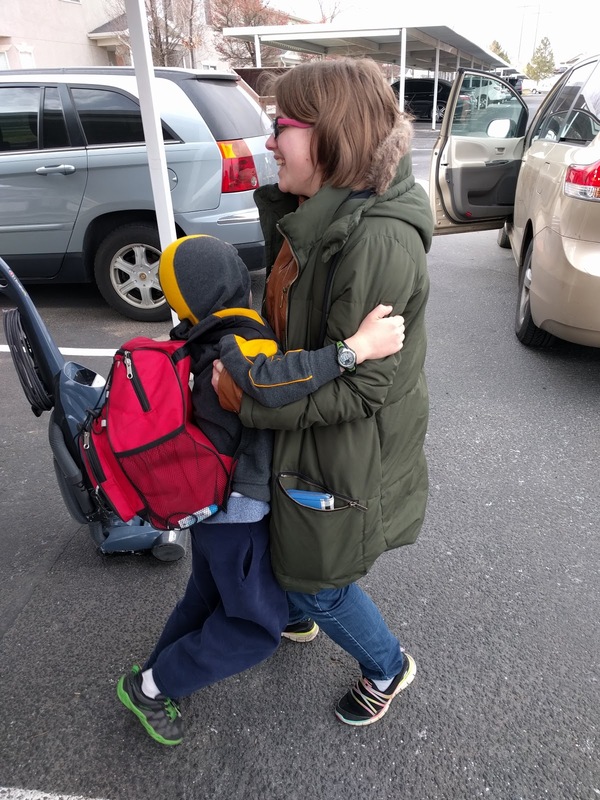 We came home with half a gallon of milk, and then I wanted to get the refrigerator cleaned out before I filled it with food, and then the car stopped running when the grocery store was our next errand, so Friday afternoon we had a grocery adventure. 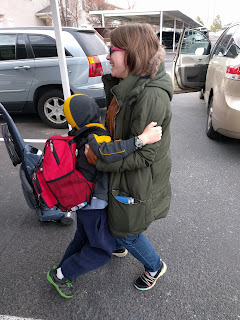 The kids put on their backpacks and we hiked through the rain to the grocery store for milk, eggs, and a few other things to get us through the weekend. We all thought it was a jolly adventure. 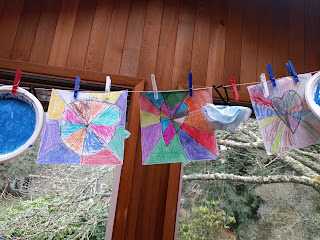 The rain lightened up for us, and the kids even helped carry groceries without complaining, since our grocery bags were in the car, and carrying home paper grocery bags in the rain seemed foolish. On Saturday Woodland Park Zoo had a birthday bash for Chinta, one of their orangutans which is turning 50, so, after chores, we went to the zoo. 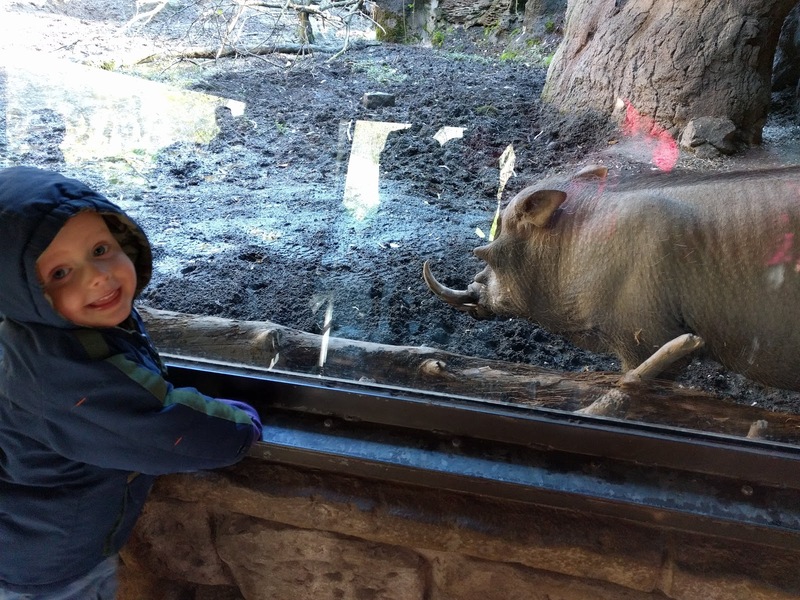 The warthogs were more sociable than usual. We got cake pops and orangutan trading cards at the orangutan exhibit, and saw a lot of other animals. B and Eloise took turns riding around like lambs on a shepherd. The day was warmer than I expected it to be. Jared was pretending that this boat was being tossed back and forth by waves. 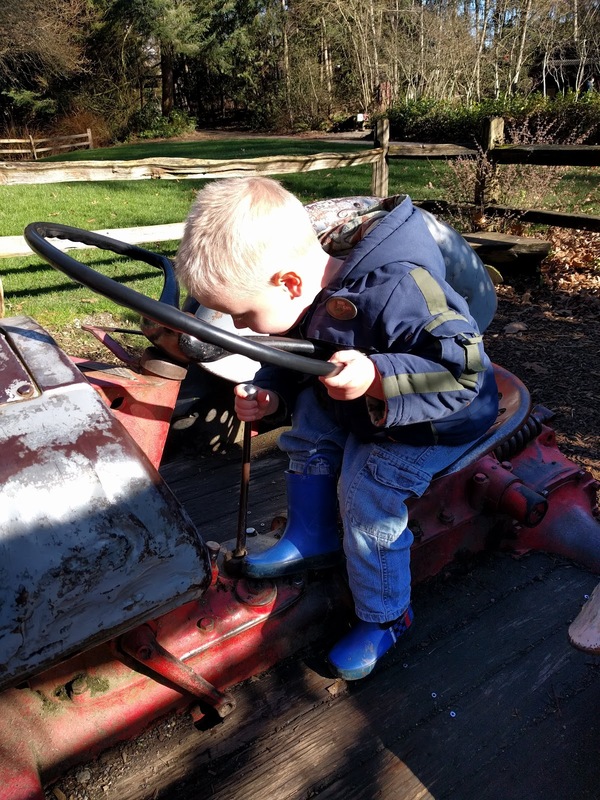 Sammy used the tractor gear shift as a microphone. We got home in time to go to an open house for a house on our block that is for sale. Does anyone want to be our neighbor? Decide soon. This house is going to be sold within a week. 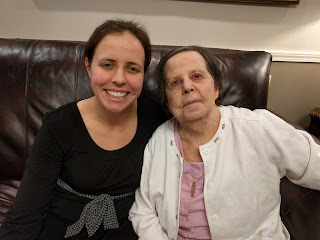 On Sunday we went to church in Anni's new ward. I persuaded B that he was old enough to stay in primary without me because he is MONTHS older than he was when we went to Hawaii and he needed me to stay with him all the way through sharing time. 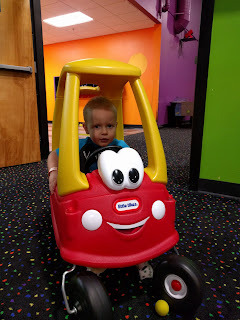 He ended up going to sunbeams with James, where they were having a party. James was persuaded to stay because B was with him, and B was persuaded to stay because there was a party. B has never in his life noticed whether or not a person is younger than him, unless they are a baby, and then he wants to take care of them and make them laugh. He told me recently that it is time for me to have a baby so that it could sit by him in the car and he could play with it. After church we had a break from cousins for a couple of hours. 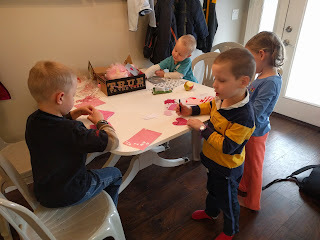 We went back to our AirBnB and worked on our Valentine's Day package for Grandma Jill. 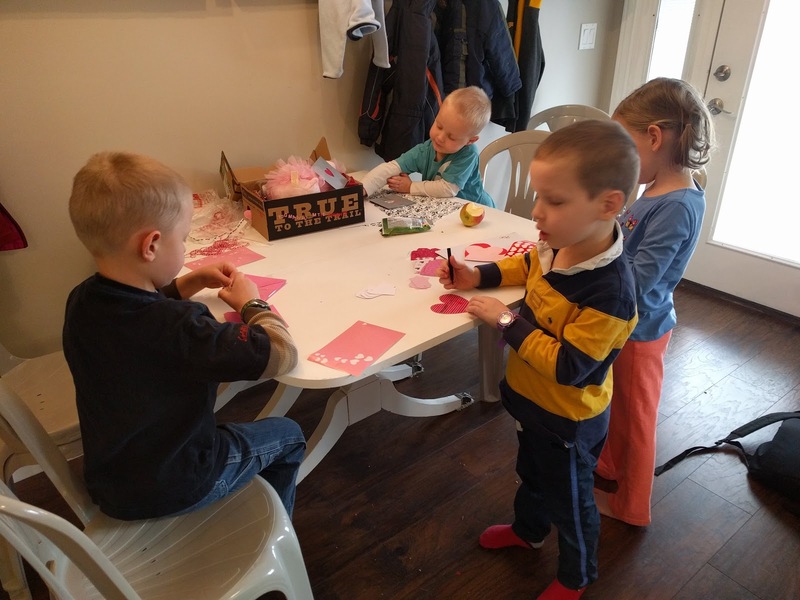 Everyone wrote her a Valentine. 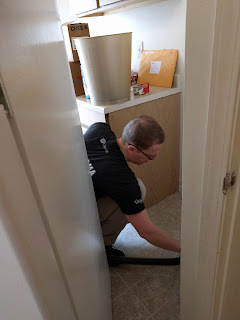 Then we went over to Anni's where we helped wipe out cupboards, unpack boxes, and clean carpets. Ryan and the kids broke in the fire pit in the backyard, and Ryan made dinner in the dutch oven. Seth had left for Georgia early Sunday morning, and Mama Jill wasn't feeling well. 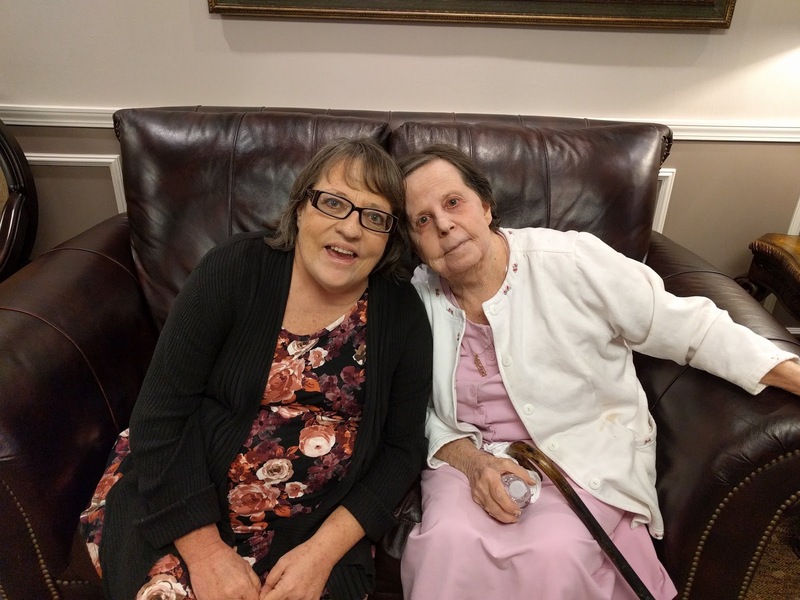 She ended up at urgent care to see if she had the flu, but tested negative, so she went home to rest. Monday morning everyone went back to work. I got up at 5 a.m. to finish my Spanish exam that was due at 8. 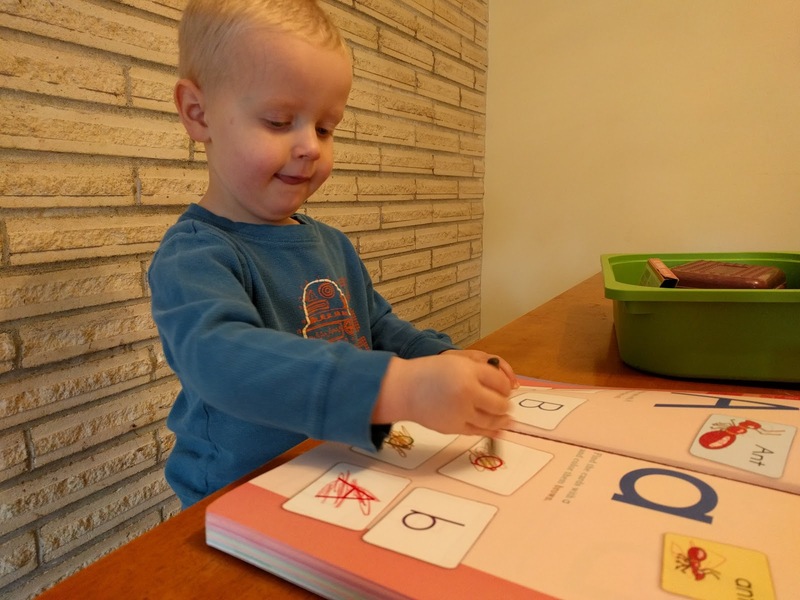 It was hard to get my homework done that week. When I finished my test I went for a run, and then Todd went to pick up Faith from my mom's apartment. We took her for a walk around our AirBnB neighborhood. 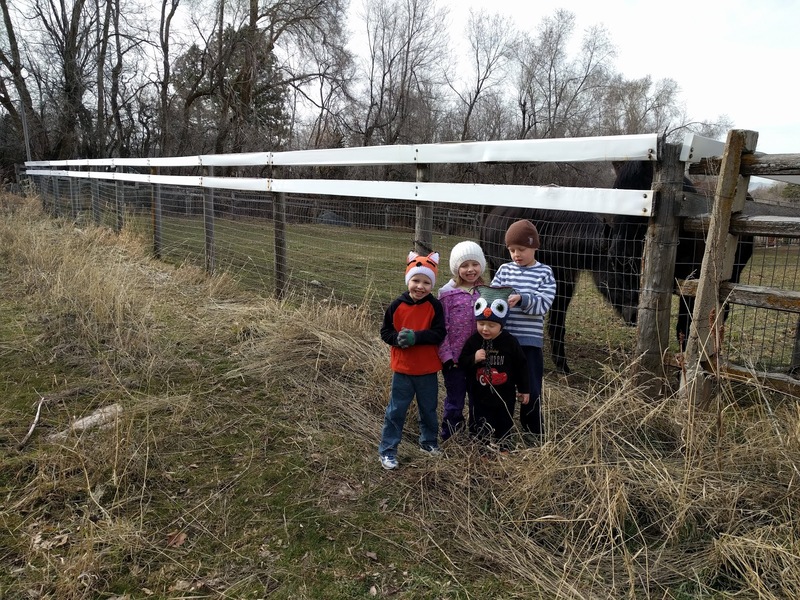 The kids were excited to show her the horses. When it was time to take Faith to the airport, Todd dropped us off at Anni and Ryan's old apartment to clean. Faith got a bunch of tackle hugs, and then she was on her way. Jordanne came down from Logan to see us. Since we were cleaning, she jumped in and vacuumed everything. That's what oldest friends do, right? It was a bit of a mad scramble to get it cleaned out, since Anni and Ryan both had to work all day, and they had to be checked out by noon on Tuesday. Not long after Todd got back from the airport, the kids were tired of scrubbing, so Jordanne and I took them to the playground while Todd kept cleaning. 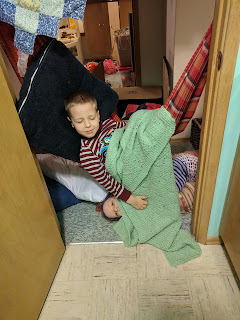 B had an attack of the stomach and ended up spending a lot of the playground time resting on the living room floor so that he could be close to the bathroom. 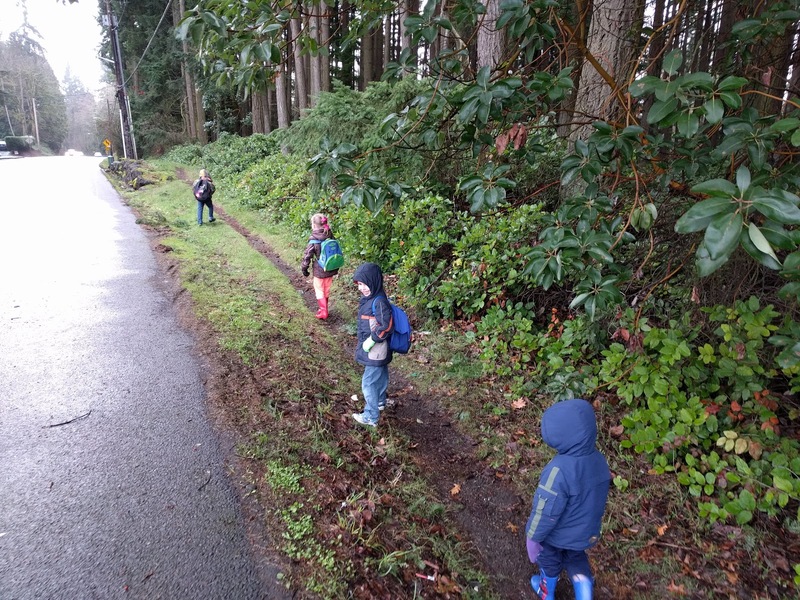 Fortunately B was feeling better by the time the cousins got out of school. 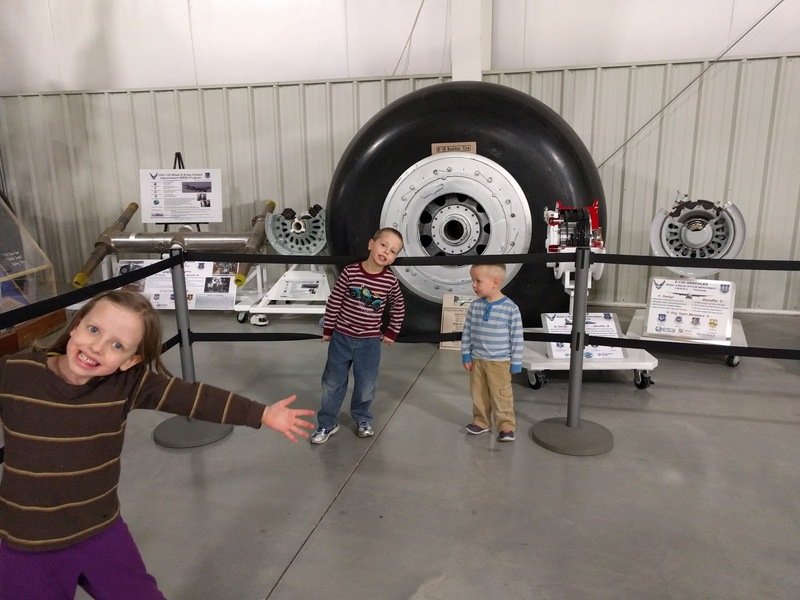 We met them at the museum at Hill Air Force Base. Jordanne came, too. Jordanne just finished her master's degree in arts management, and she is looking around for jobs. I hope she comes back to Seattle! B and Sammy, who are obsessed with wheels, could not believe the size of this plane wheel. Great photobomb, Eloise. When the museum was closing, we headed over to Anni's new place to make dinner. When we arrived, the water had been shut off, even though someone had just come to turn it on on Friday. Todd took this opportunity to run out and get Chinese food. By the time he came back the water was back on, but dinner would have been really late, so we were glad to have it. Sammy found Maren's earmuffs that she loves and wears constantly, even though they are having a super warm winter in Utah. 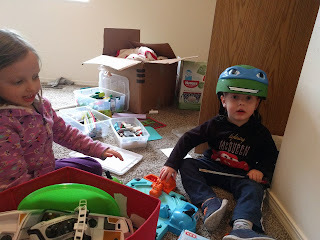 Just as we were leaving to drop of Grandma's package and go back to our AirBnB for the night, James tripped and split his forehead open on the coffee table, so we took Maren with us to fall asleep while Ryan finished the cleaning of the old apartment and Anni took James to be evaluated for stitches. 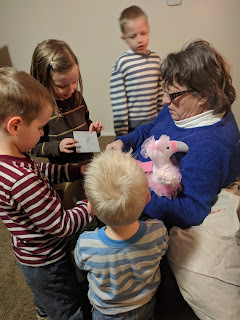 We stopped at Grandma's to give her her Valentines and say goodbye. The drive home was a little rougher than the drive out. Driving home always is. Sammy discovered his power to call for potty breaks, but only abused it once or twice. 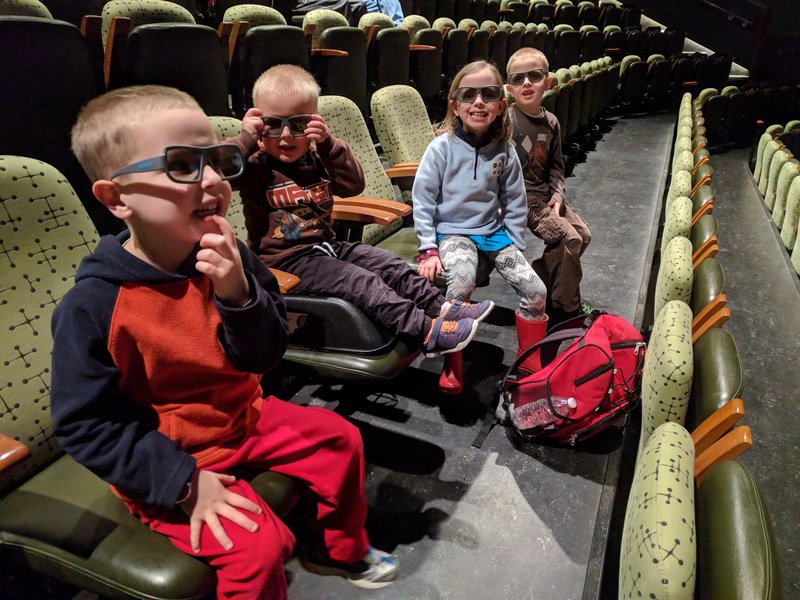 We told the kids that they couldn't watch a movie until we got to Washington, since they get mean and grumpy if we overdo movies. The drive through Oregon was long, but we made it home intact and found all well. 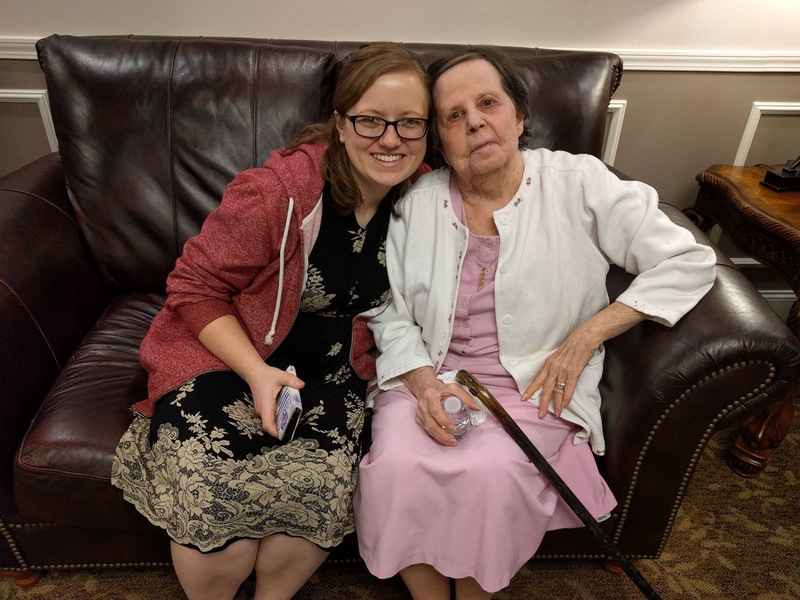 I'm glad we could be there to help Anni and Ryan with their move, and to say goodbye to Grandpa. We had heard these departing lines from him so many times that it is no surprise that we memorized them, and would recite them to him if he ever forgot to say them to us. 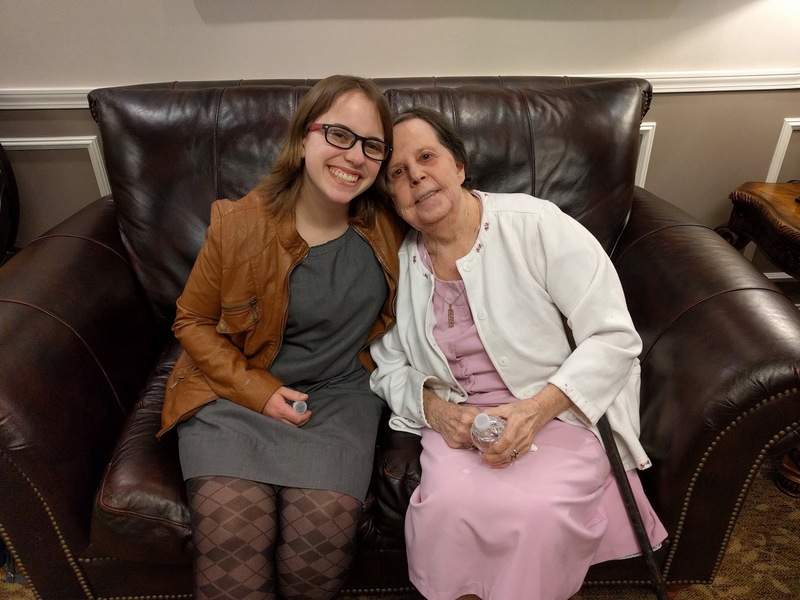 I don't know if the reality of Grandpa leaving this earth hit me until I recited his farewell to him quietly right before his casket was closed. I couldn't make it through the whole thing. Then Grandma got up and told him, "I love you!" and I was kind of a mess after that. 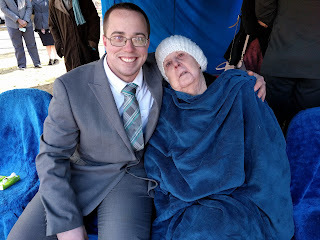 Grandma spent all of the funeral with Uncle Charles. She pulled him around with her like a security item, and introduced him to everyone, including his own children. "I would like you to meet my twin brother, Charles. He lost his wife recently, too." She wouldn't sit down in the chapel for the funeral service until Charles was with her, and she saved a seat for him at the graveside in Logan. 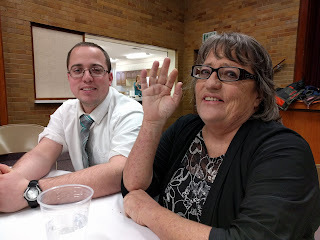 The funeral was over an hour long, as my mom delivered a eulogy, and each of my uncles spoke. I hadn't thought to bring in activities to keep our kids occupied, but they were amazingly well behaved. 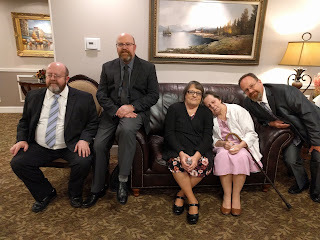 After all of the excitement of moving, Anni's kids fell asleep during the opening song and slept through the entire service. The relief society in Grandma and Grandpa's ward in Murray provided boxed lunches to eat on the drive up to Logan. 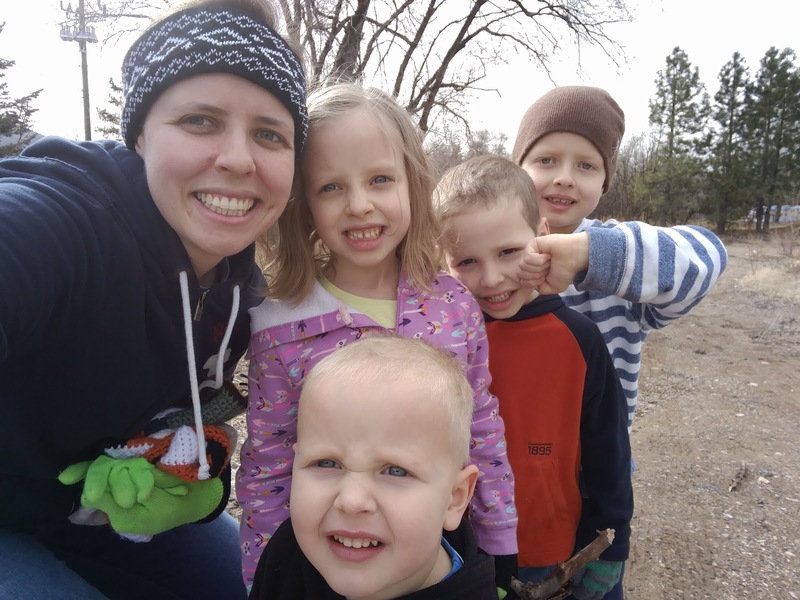 We made a child swap in Roy, so B rode with Anni and Maren rode with us, and then we stopped at a grocery store for the kids to use the bathroom. I think we were the last ones to arrive at the graveside. 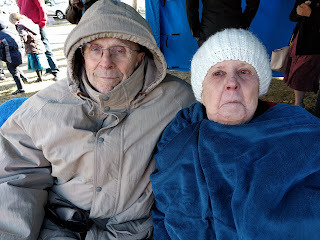 Grandma was already freezing. I loaned her Eloise's hat. Seth came! He is my grandparents' only grandson. He drove out from New York (because he is crazy) on his way to move to Georgia. He was thinking of not staying for the funeral, but, since he was there, he was extremely helpful in moving Anni and Ryan, supporting our mom through the funeral, cleaning, working, and generally being awesome. I wish we saw more of Seth. Because Grandpa was a veteran, he got military honors for his funeral. Military burials are very beautiful, I think. They really know how to honor the fallen in a meaningful and symbolic way. After the funeral we adjourned to our old ward building a couple of blocks from the cemetery where our nice old ward set us up with desserts. My kids thought it was great that they were in the building where I used to go to church when I was a kid. They also liked that there was a giant beanbag chair on the stage that they could jump onto from a table. 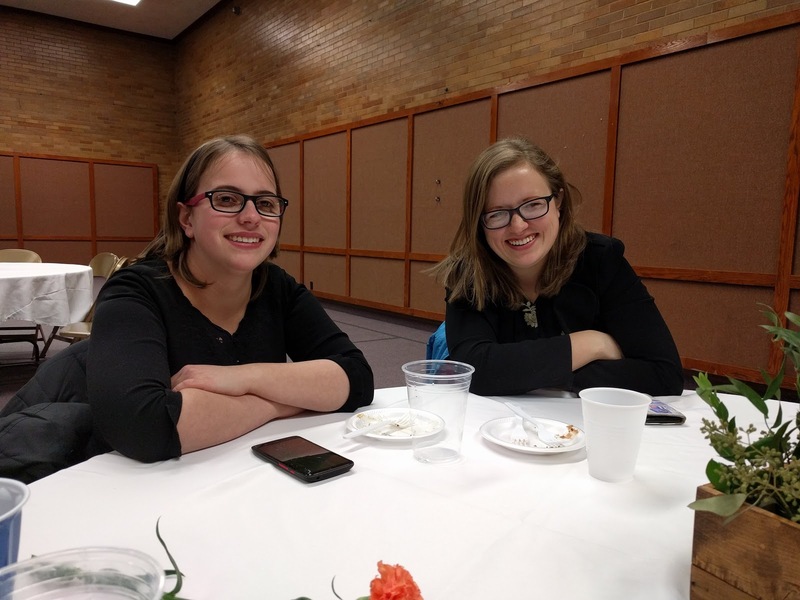 It was nice to have a chance to catch up with my cousins Brooke and Abby. Grandma hilariously thought that Faith was Joy. Joy is from Kenya and has beautiful dark skin and curly hair. The only thing Faith and Joy have in common, as far as I can tell, is that they are both fantastic, amazing people. Joy was laughing so hard I thought she was going to cry. 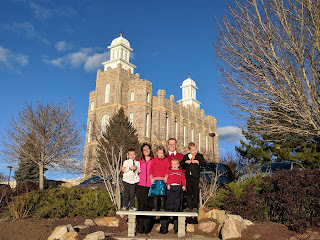 When everything was over, we stopped at the Logan temple and asked a passerby to take our family's picture. This is where Todd and I were married, and sealed for time and all eternity eleven and a half years ago. It is also where my grandparents got married 67 years ago. This place is a symbol of our faith that our family can be together again after we die. 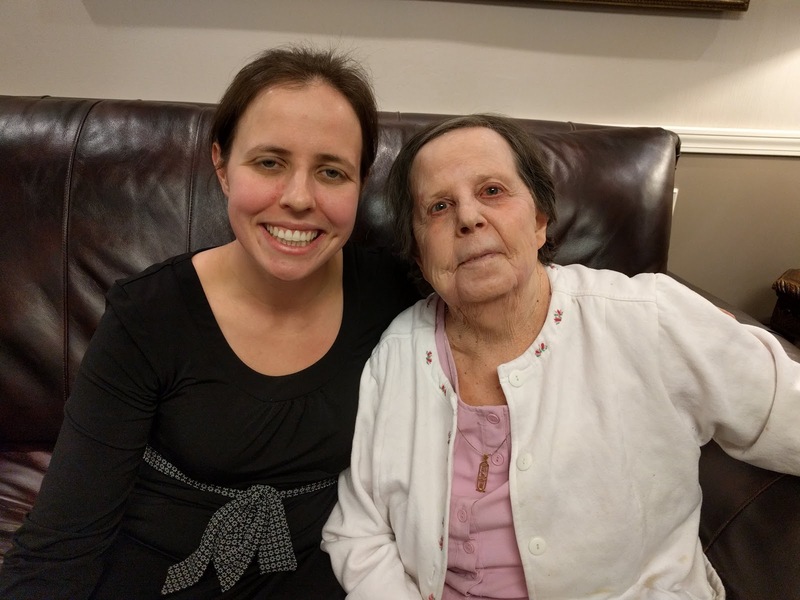 Heavenly Father intends for families to continue after death. We know that we will see Grandpa again, and that the relationships we build on earth can last into the eternities. Thanks for always being here for us, Grandpa. 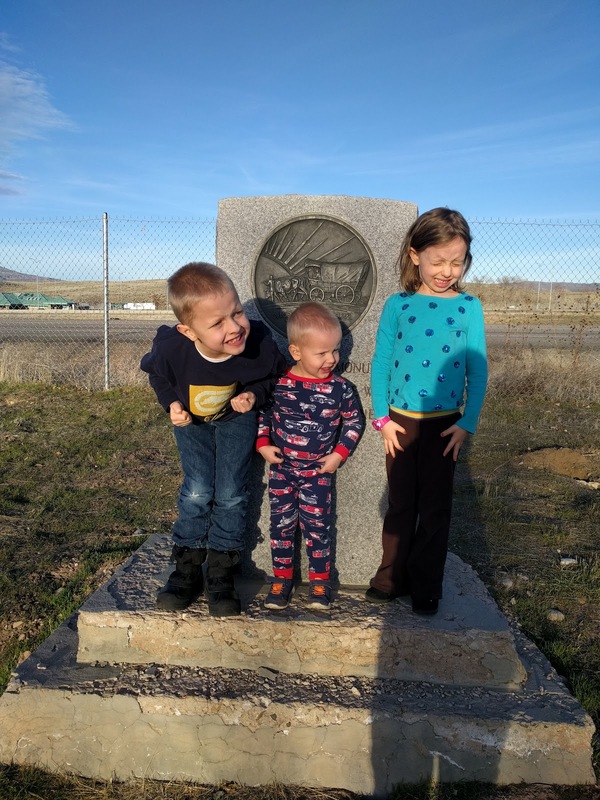 This may be abundantly obvious to our family's followers, but our kids LOVE traveling. When we left on February 7 for Utah, the kids were enthusiastic. 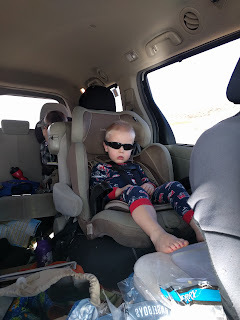 Road trips are hardest on the smallest kids, but even Sammy held up very well for the 13 hours of travel. 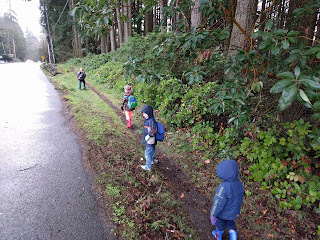 There was much disappointment at the devastating lack of snow anywhere along our drive. We drove through one snowy bit at Snoqualmie pass in the first three hours of driving, and then it was blue skies and no coats needed for the rest of the drive. 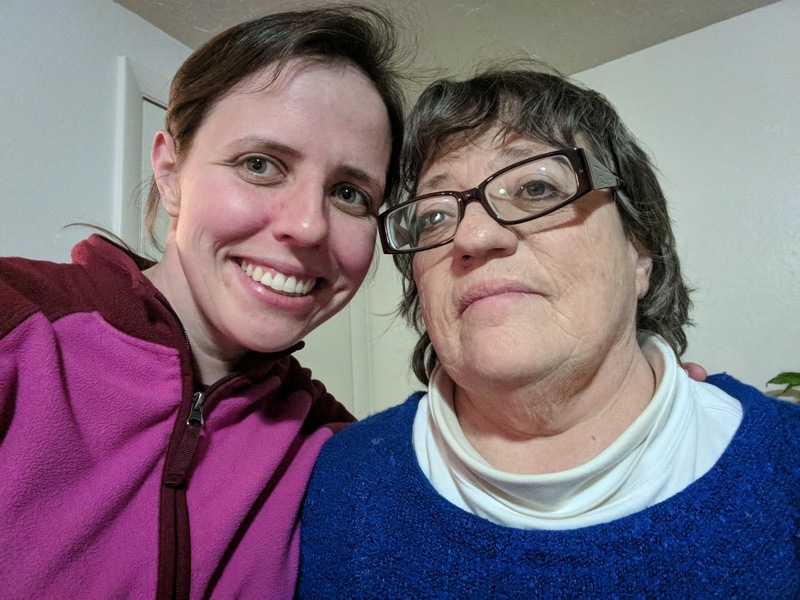 We were happy to get out of the car and into our very comfortable AirBnB in Layton. This is where B slept (not). 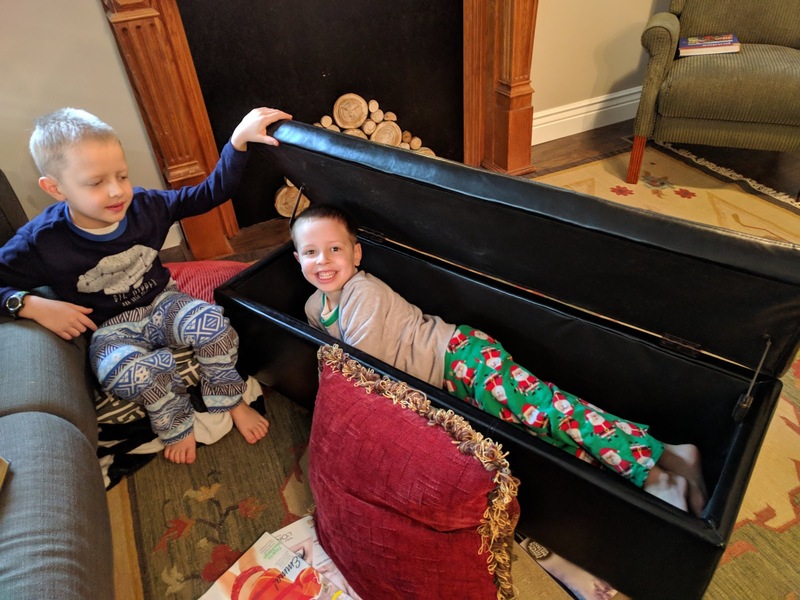 We actually used this coffee table/bench to store some of the dozen extra pillows so that I wouldn't have to constantly keep the boys from whacking each other with them unexpectedly. The neighborhood was great. 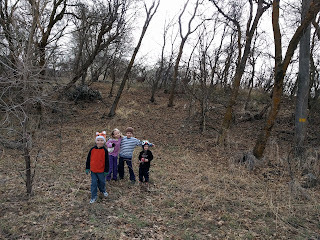 Thursday morning everyone was working, so I took the kids exploring a trail we found behind the back yard, and we discovered sticks galore, Sammy adopted half a dozen new pet rocks, and there were horses behind a fence. If you zoom in on this picture you will see a herd of deer on the bank behind the kids. It was so warm! 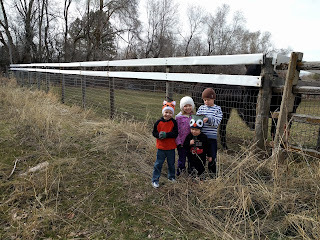 As you can see, I have a collection of gloves and beanies the kids shed as the temperature soared over 50 degrees. Jared took a few nature pictures. 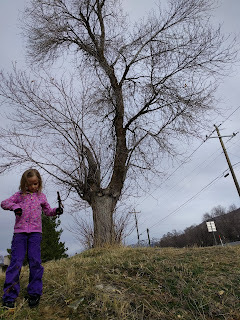 This tree was at the top of a steep bank that Sammy tried to climb the first time with his hands full of rocks. 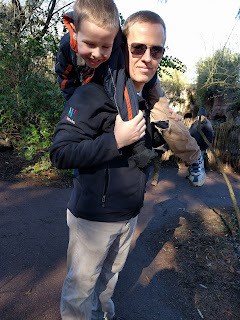 He slipped and fell on his face, but he didn't drop his rocks. I helped him put them in his pockets. On a later walk, Jared climbed up this bank and declared himself king of the hill, and Eloise was the queen. B came up behind him and said, "I'm the prince! Sammy, do you want to be the princess?" Sammy answered, "Yes! I am the princess! And-" tapping his knees- "This is my dress!" It was hilarious. The funeral was going to be held on Saturday. The main reason we came out two days early was so that we could help Anni and Ryan move. 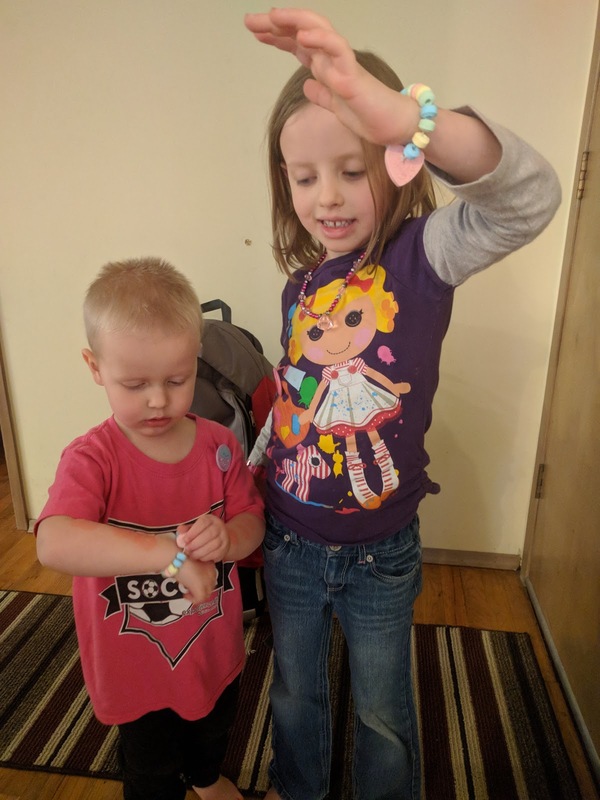 They closed on a new house on Tuesday, got to take possession of it on Thursday, and had to be out of their apartment by the following Tuesday. They had planned to move on Saturday, but the funeral thwarted that plan. Anni and Ryan both work full time, and Anni is pregnant and unable to lift boxes, so they didn't have a lot of time to pack and move, so we came to help. On Thursday afternoon we helped with packing and the kids played with their cousins. This is really shocking, but I got not one single picture of the kids playing with their cousins on this entire trip. 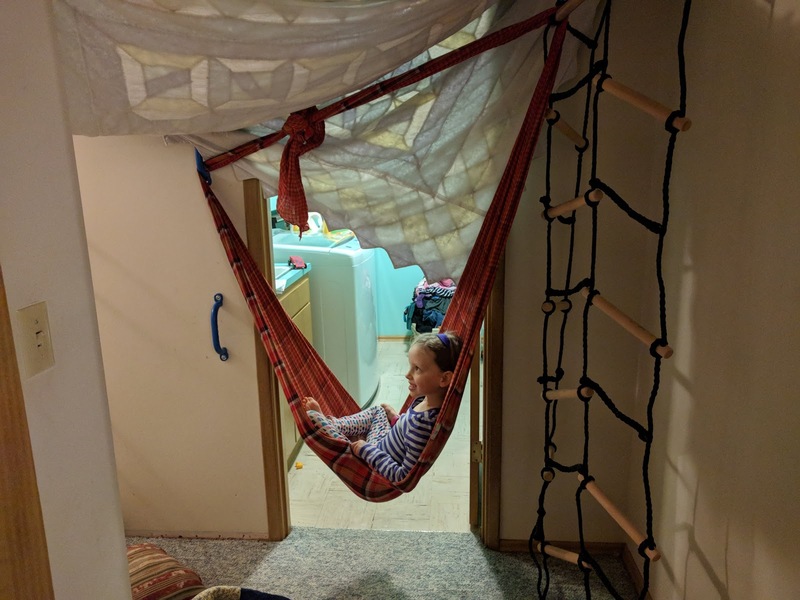 Cheyenne wasn't able to make it, but it turned out to be just as well that she stayed home, since the flu hit her family hard this week. We spent Friday moving in earnest. 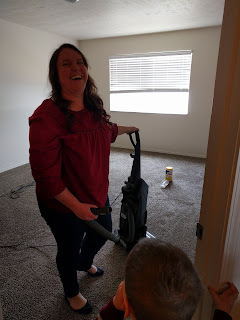 A bunch of missionaries and a couple of friends showed up to help, and we packed and moved almost everything from the apartment to the new house, then we unloaded the truck. I confused a bunch of Anni's neighbors when she left to pick up her kids from school, and I was directing the moving of furniture into the house. They came over to welcome me to the neighborhood, only to be very confused about why I appeared to be in charge when I said I didn't live there. In the evening, our AirBnB host opened up the rec room of their enormous house and Todd, Ryan, and the kids ate sandwiches and watched a movie together while Anni and I went to the viewing. 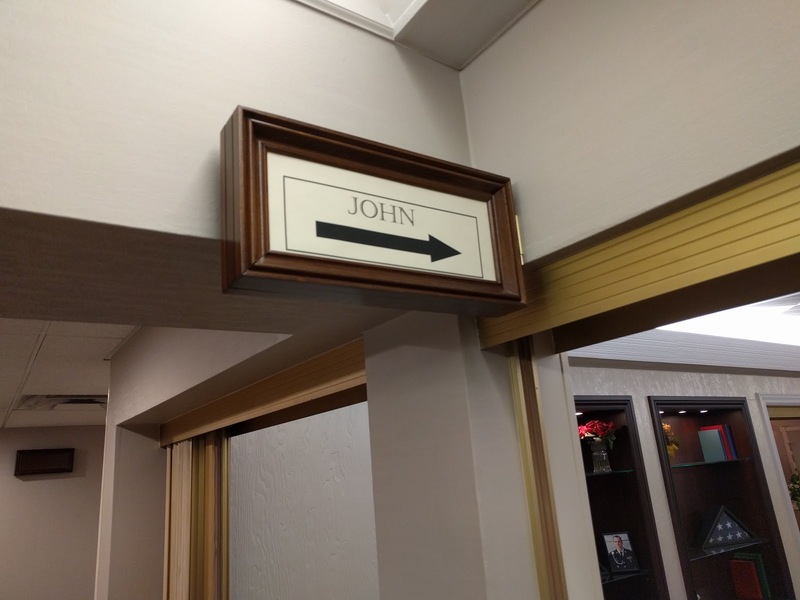 The first thing that greeted us at the funeral home was this hilarious sign. I know what you're thinking, but no, it was not pointing the way to the bathroom. 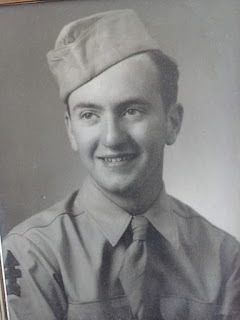 My grandpa's name was John Richards, but he went by Jack. Maybe it was the tension of being in a funeral home, or exhaustion from working all day, but I could not stop giggling about this sign. Uncle Glen, who finds open caskets unbearably creepy, was laughing right along with me. Faith had arrived the night before. I'm glad she was there to be with Mom while Anni and I were busy moving. We got some pictures with Grandma. She didn't really want to be there either. Uncle Evan, Uncle Glen, Mom, Grandma, and Uncle Paul, who had to come back from Thailand to be there for the funeral. Uncle Glen had made a nice video showcasing Grandpa's life. A few relatives and neighbors drifted through, and we took turns, along with Joy, Paul's wife, sitting on the couch with Grandma and telling her stories to keep her occupied, since every five minutes she asked if she could go home yet. Overall, this was a peaceful and happy time, as much as it could be. 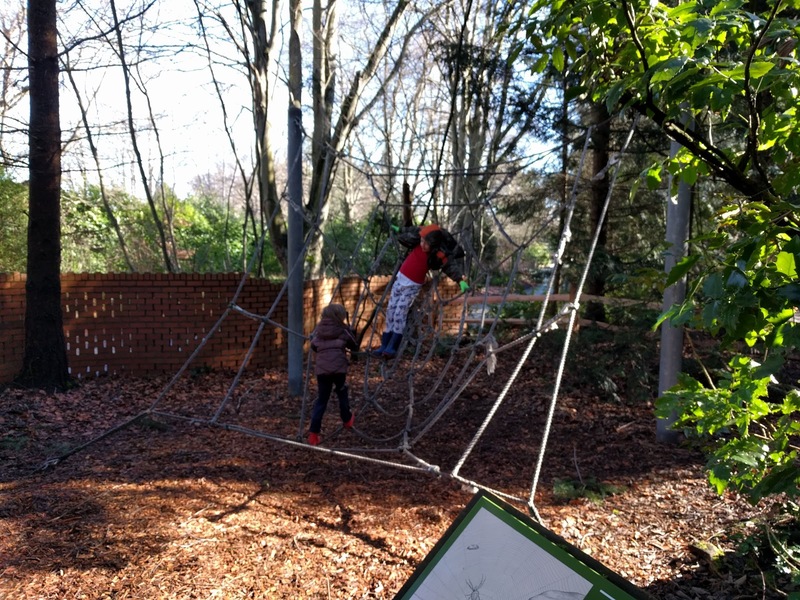 On January 30 we invited some friends to go with us to the zoo. They said they thought it was a little bit too cold outside, and they just wanted to go to Pump it Up, a bouncy castle place in Kirkland. 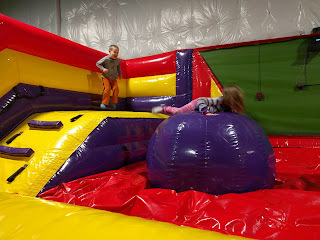 I've been there a couple of times for birthday parties, and I remembered it being loud and crowded with too many bouncy things crammed into a small space, and no room for keeping track of small kids when the disappear into the bouncy houses. Apparently they have updated. This turned out to be really fun (but it is still overpriced). I left my stomach at the top of a few slides while I had slide races with the kids. Sammy didn't really want to go down any slides. 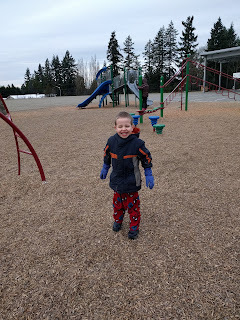 I finally persuaded him to the top of a small slide, and, when the backup behind him was getting long, I nudged him over the edge of the slide. His leg got caught in a tear in the fabric on the way down, flipping him around and bruising his leg. I was worried for a minute that he might have broken it, but he was mostly just mad at me for pushing him down. He hobbled for an hour, but then he was back to his full speed again. 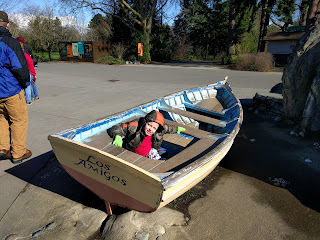 Since January 31 was the last day of our Pacific Science Center membership, we went for one last adventure. We went to see a 3D movie about hurricanes that was so real and 3D that I kept seeing the kids throw their arms over their heads when a wave came crashing toward us. Sammy kept his 3D glasses on the whole time, which is a first for him, but he didn't like the noise. He covered his ears during the sound test at the beginning of the movie, climbed into my lap, and he never uncovered his ears. This was the best 3D movie I have ever seen. It was really intense. 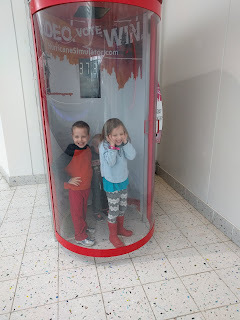 Afterward the kids wanted to experience hurricane winds in the simulator. Of course the debris factor is eliminated here. 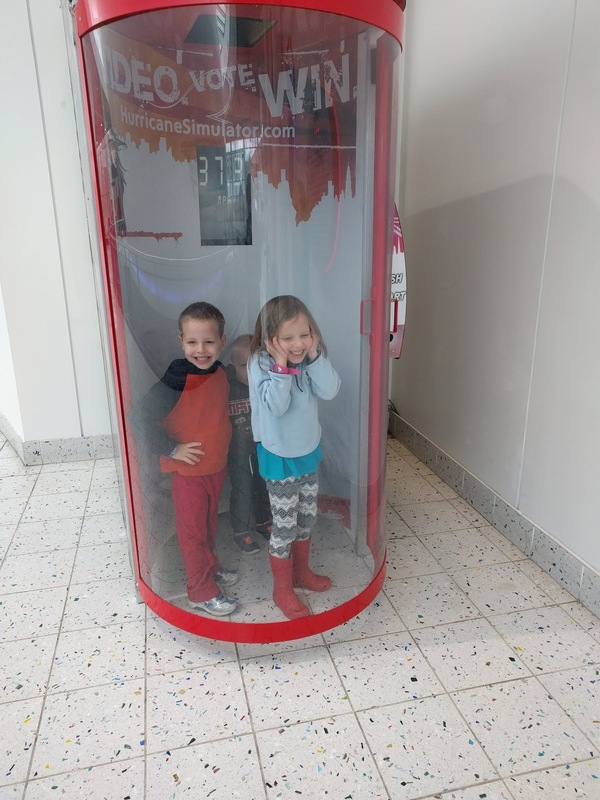 I think we were all adventured out, because the kids were fighting and we went home without seeing very much science center this time. On Thursday, February 1, my Grandpa Richards died. He was 91. While I can't say we were very close in his later years, Grandpa was one of the important supporting cast of my formative years. 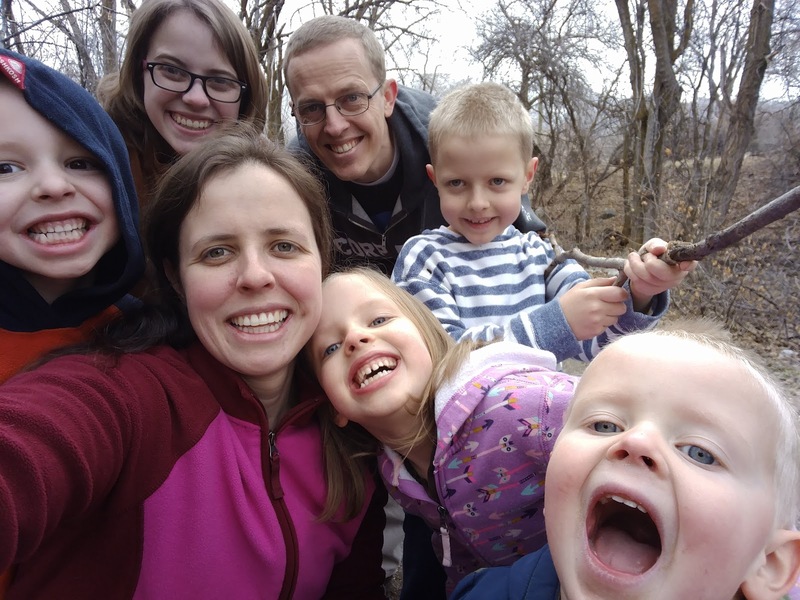 He helped our family through financial difficulties, and was the first person we would turn to when we needed a priesthood blessing. Whenever he would visit us, or we would visit him, he would have a handful of "twofers" to give to everyone. Twofers were usually hard candies, and there were two fer you, and two fer you. . . Grandpa was an English teacher, and he loved to use the full extent of his vocabulary. When the roar of all five of us kids got to be too thunderous, we would hear his voice over the roar saying, "MODULATE!" 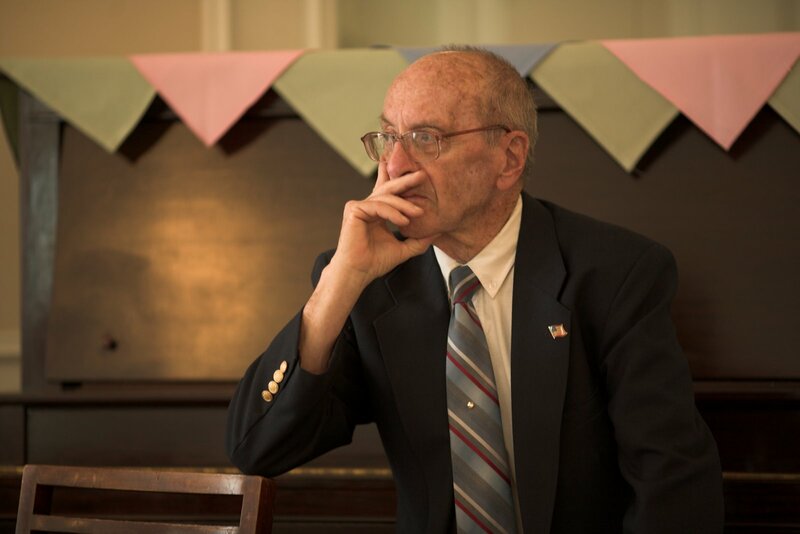 It's tough to think of a world without Grandpa. 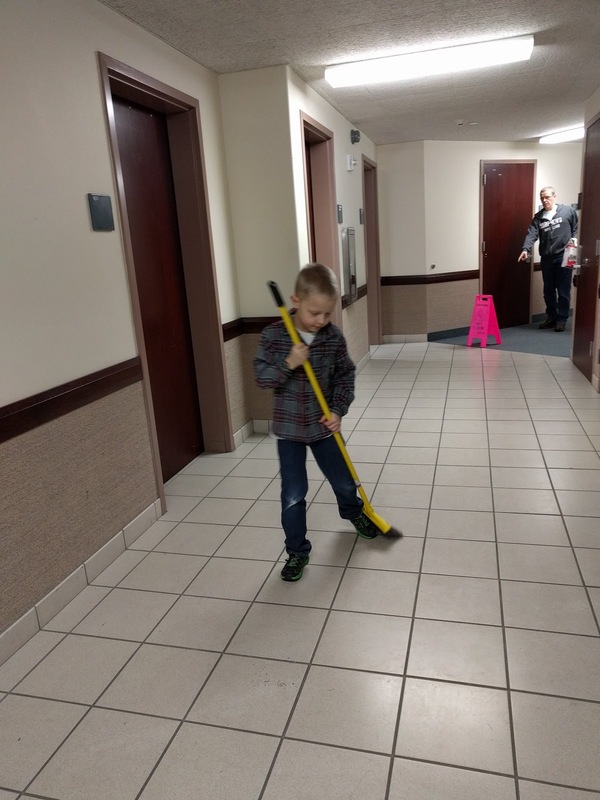 On Saturday it was our family's turn to clean the church building. The Spanish ward in our building held a big cultural event there the week before (it was really cool!). Somehow some adhesive on the tile outside the cultural hall had stayed on the floor. 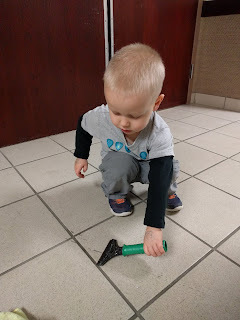 It probably wouldn't have taken me 45 minutes to clean this small tiled portion of the hall if I hadn't had quite so many enthusiastic helpers anxious for a turn with the razor blade. When we went home we built a pretty epic blanket fort. Here Eloise demonstrates our favorite use for the baby wrap carrier that I carried tiny B and Sammy around in. I think B is trying to make this position look more comfortable than it actually is. 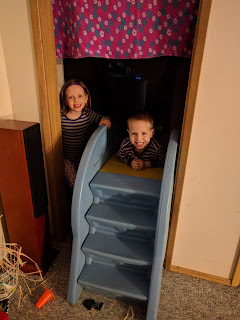 The kids blocked up the entrance with a slide and armed themselves with snowballs to fend off adult intruders. 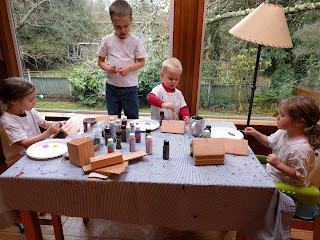 On February 5 we did some Valentine's day art before packing for a trip to Utah on short notice for Grandpa's funeral.